I finished the triangle quilt. 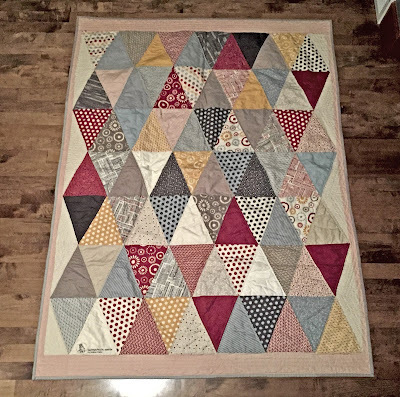 Now you may have noticed that this looks different from the quilt top I shared in an earlier post, it is. After I finished sewing the binding it I threw it in the wash with a set of coral, expensive sheet, and a color catcher, poor choice. 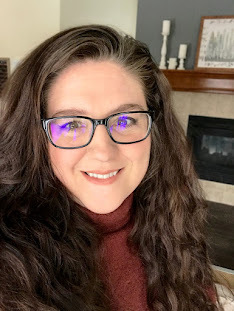 The sheet bleed and dyed the boarder a soft pink-orange, a yellow piece of fabric to golden and half of the binding from a true grey to blue-grey. 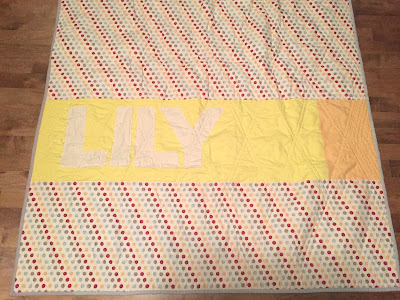 I was devastated but then I showed the quilt to three people asking them if they could see my BIG mistake and they couldn't so I've decided it's ok to still give to Lily. Lesson learned, even expensive sheets bleed color. I ship the quilt off tomorrow and am overall pleased with the look, dye and everything. 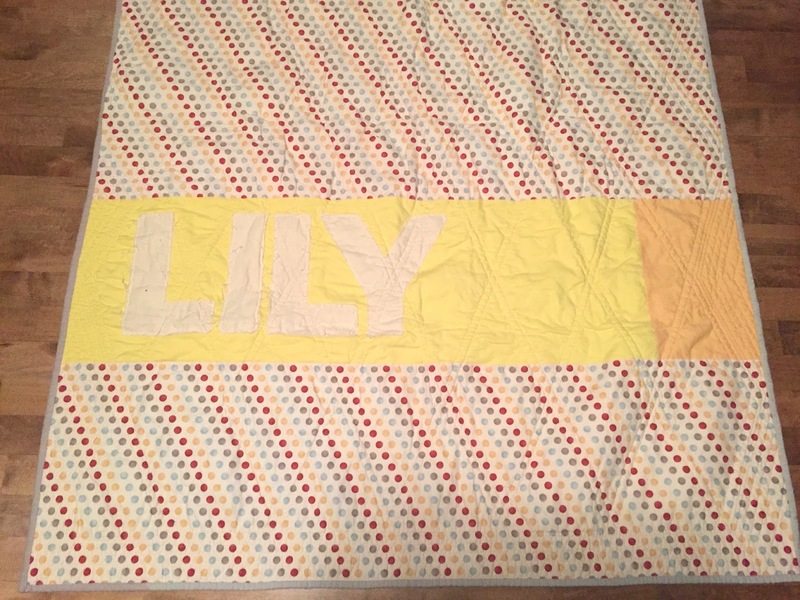 I actually made Lily a stroller sized rag quilt in the same fabric (Hometown by Sweet Water) when my friend got her. My late husband liked this fabric line also. 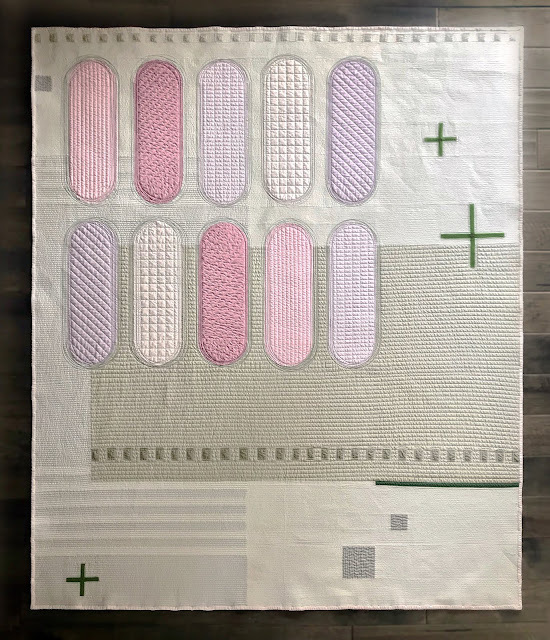 My first quilt was made with this line, it's gotten alot of usage. A quick side note, I'm really liking the look of the snail's trail block, always have really. I've been checking out pics online this evening trying to come up with a way to make it more contemporary. I'm still working on it.